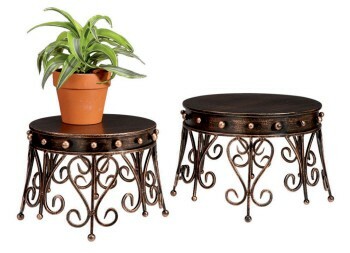 Casa Cristina Collection crown plant stand set. Comes as a set of two and is made of Iron. Finished in antique brown. Dimensions- 14.5 in Diameter x 11 in. T.